Angela's Ashes (Frank McCourt, 1996). This evocative memoir documents an Irish family's struggles during the Great Depression. Are You Somebody? The Accidental Memoir of a Dublin Woman (Nuala O'Faolain, 1996). A woman steps out of the traditional shoes she was always told to fill. The Back of Beyond: A Search for the Soul of Ireland (James Charles Roy, 2002). 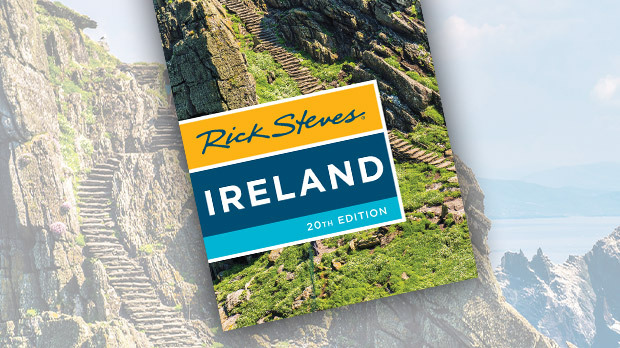 Roy, an authority on Irish history, leads a group of Americans on an unconventional tour through the byways of Ireland. How the Irish Saved Civilization (Thomas Cahill, 1995). Cahill explains how the "island of saints and scholars" changed the course of world history. Immortal Irishman (Tim Egan, 2016). This well-written biography spans three continents to describe the incredible, passionate, and short life of Thomas Francis Meagher. Ireland: A Concise History (Máire and Conor Cruise O'Brien, 1972). This is a riveting account of Irish history from pre-Christian Ireland to the Northern Irish civil rights movement. O Come Ye Back to Ireland (Niall Williams and Christine Breen, 1987). Two New Yorkers adjust to life in a tiny Irish village after leaving their careers for a simpler life. Round Ireland with a Fridge (Tony Hawks, 1997). For a humorous jaunt through the countryside, read Hawks' account of his attempt to hitchhike around Ireland with a fridge. A Short History of Ireland (Richard Killeen, 1994). Killeen's well-illustrated book is among the most accessible introductions to Irish history. To School Through the Fields (Alice Taylor, 1988). In one of the best-selling Irish memoirs of all time, Taylor fondly remembers growing up in a rural Irish town. The Barrytown Trilogy (Roddy Doyle, 1992). This trilogy includes Doyle's first three novels — The Commitments, The Snapper, and The Van — each capturing the day-to-day lives of working-class Dubliners. The Bódhran Makers (John B. Keane, 1986). Keane documents the struggles of hard-living farmers in 1950s Ireland. Circle of Friends (Maeve Binchy, 1990). One of Binchy's many soapy novels, Circle of Friends tells the story of a group of friends starting college in Dublin. Dublin Saga (Edward Rutherfurd, 2004). Rutherfurd's historical saga traces the lives of rich and poor families through key events in Irish history, from a.d. 430 to the fight for independence. Dubliners (James Joyce, 1914). Joyce's classic short-story collection describes Irish life in the 1900s, told through the experiences of 15 ordinary Dubliners. Finbar's Hotel and Ladies' Night at Finbar's Hotel (Dermot Bolger, 1997/1999). These novels, about a collection of guests at a Dublin hotel, were collaboratively written, with each chapter penned by a different modern Irish author. Ireland (Frank Delaney, 2004). Delaney's historical epic follows Ronan O'Mara on his journey to find a beloved Irish storyteller. The Last Prince of Ireland (Morgan Llywelyn, 1992). An Irishman and his clan are determined to hold onto their homeland following the 1601 Battle of Kinsale, in which the Gaelic nobility were defeated by English invaders. Long Lankin (John Banville, 1970). This collection of short stories by the Man Booker Prize-winning Irish author explores themes of alienation, jealousy, and love lost. A Star Called Henry (Roddy Doyle, 1999). Doyle's political thriller, set in Ireland during the 1916 Easter Rising, is narrated by the young Henry Smart, a soldier in the Irish Citizen Army. Trinity (Leon Uris, 1976). Uris dramatizes the sectarian struggles in the decades just prior to modern Irish independence. Cal (1984). This complicated love story centers on a widow who must cope when her lover is hunted by the Irish Republican Army. The Commitments (1991). Working-class Dubliners form a soul band in this adaption of Roddy Doyle's popular novel. Other film adaptions of Doyle's books include The Snapper (1993) and The Van (1996). Dancing at Lughnasa (1998). This drama following five unmarried sisters in 1930s rural Ireland is based on a play that first opened in Dublin and then on Broadway. Evelyn (2002). Single dad Pierce Brosnan must fight the Irish courts to keep his kids after being abandoned by his wife. Far and Away (1992). Tom Cruise and Nicole Kidman star as penniless Irish immigrants seeking their fortune in late 19th century America. The Field (1990). A farmer fights to keep his land in 1930s Ireland. Fifty Dead Men Walking (2008). Director Kari Skogland's crime thriller features an IRA informer navigating a brutal world during the Troubles. In the Name of the Father (1993). Daniel Day-Lewis plays wrongly accused IRA bomber Gerry Conlon in this biopic. Into the West (1992). Two boys hide their beloved horse in urban Dublin before fleeing cross-country with it in this film written by Jim Sheridan, director of My Left Foot. Leap Year (2009). In this movie set in Dingle (but filmed on the island of Inishmore), Amy Adams plays a woman who travels to Dublin to propose to her boyfriend. The Magdalene Sisters (2003). Director Peter Mullan tells the story of three unwed Irish mothers struggling to survive an abusive 1960s nunnery. Man of Aran (1934). Directed by Robert J. Flaherty, this haunting, near-silent documentary about life on the Aran Islands in the early 20th century is a classic. Michael Collins (1996). Director Neil Jordan's biopic stars Liam Neeson as the famous Irish patriot and revolutionary who was killed in the Irish Civil War. My Left Foot (1989). Daniel Day-Lewis plays an Irishman with cerebral palsy who learns to write and paint with his left foot. Odd Man Out (1947). This British film noir, about the early IRA, is set in Northern Ireland with a great scene filmed in Belfast's Crown Bar. Omagh (2004). "Best Drama" winner of the 2005 British Academy of Film and Television awards, Omagh recounts the deadly 1998 IRA bombing that killed 29 people in Northern Ireland. Once (2006). An Irish street musician joins a Czech classical musician to compose heartfelt melodies in a sensitive tale set in gritty modern Dublin. Philomena (2013). This poignant but clear-eyed story centers on an Irish woman's search for the son she had to give up. The Quiet Man (1952). John Wayne plays a disgraced boxer who returns to the Irish village where he was born. Ryan's Daughter (1970). David Lean's epic WWI love story documents an affair between a married Irish woman and a British officer. The Secret of Roan Inish (1995). This whimsical and sensitive film explores the Irish and Orcadian folklores of selkies — seals that can shed their skins to become human. 71 (2015). In this true story, a solitary British Army soldier flees on foot through hostile IRA-controlled territory at the height of the Troubles in 1971. Some Mother's Son (1996). Helen Mirren stars in this movie about families of IRA hunger strikers. Titanic Town (1998). A brave mother tries to protect her family while living on the bleak front lines of sectarian Belfast during the Troubles. Veronica Guerin (2003). Cate Blanchett stars as Veronica, an Irish journalist who exposes Dublin's drug lords — and pays the price. Waking Ned Devine (1998). A deceased villager wins the lottery in this funnier-than-it-sounds comedy that showcases beautiful island landscapes and the wit of the Irish people. The Wind That Shakes the Barley (2006). Two brothers fight in the Irish Republican Army during the country's struggle for independence from Britain. 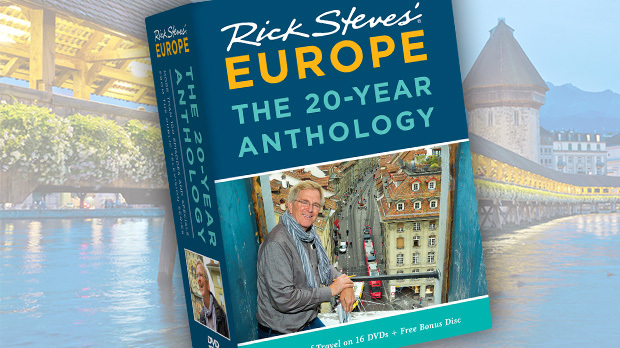 Pat O'Connor is the co-author of the Rick Steves Ireland guidebook.